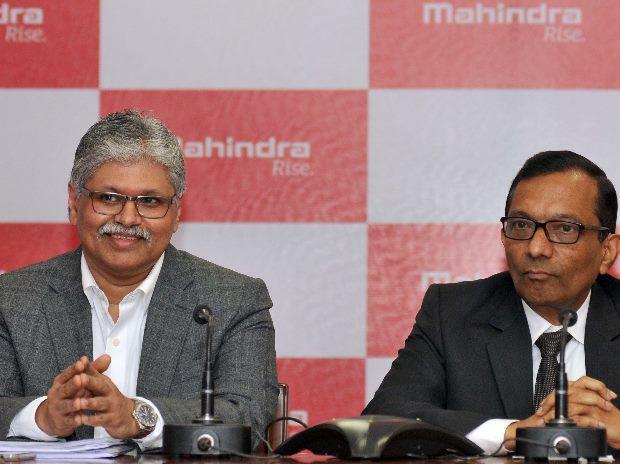 (From left) Nikhil Madgavkar, CFO, farm qquipment, M&M and Pawan Goenka, MD, M&M (Photo: Kamlesh Pednekar) The country’s biggest tractor maker Mahindra & Mahindra (M&M) will be acquiring Turkey’s fourth-largest tractor maker, Erkunt Traktör Sanayii and its foundry business, for Rs 815 crore in an all-cash deal. This is the company’s second acquisition in Turkey. M&M will be purchasing 100% stake of Erkunt Traktor Sanayi for Rs 487 crore. The company will also be acquiring 80% stake of Erkunt’s foundry unit, Erkunt Traktor Sanayi, for Rs 328 crore. The company will make efforts to acquire the remaining 20% in the foundry business before the close of transaction on November 30. Turkey’s Armagan family, who incorporated the company in 2003, will continue to operate with key support resources from India. Erkunt Traktor enjoys a 6% share in Turkey’s tractor market, with a revenue of Rs 565 crore. Seven% of its volume comes from exports. With this acquisition, Erkunt’s market share is expected to increase to 8%. The company has its production facility in Ankara, Turkey. Erkunt has the 95 dealerships in Turkey and 326 authorised service stations across the country. The company has a line-up of 23 tractor models, ranging between 50 horsepower (hp) to 110 hp. The foundry unit that primarily manufactures castings and machines is a Rs 302-crore business. M&M’s first acquisition in Turkey was farm equipment maker Hisarlar Makina Sanayi, in which it picked up 75% stake early this year. With its second acquisition, the company aims to improve synergy with Hisarlar and Sampo as well as make its strategic presence in West Asia, Commonwealth of Independent States, and North Africa.